The machines have risen, but not out of malice. They were simply following a command: to stop the endless wars that have plagued the world throughout history. Their solution was perfectly logical. To end the fighting, they decided to end the human race. A potent symbol of the resistance, Rhona Long has served on the front lines of the conflict since the first Machinations began--until she is killed during a rescue mission gone wrong. Now Rhona awakens to find herself transported to a new body, complete with her DNA, her personality, even her memories. She is a clone . . . of herself. Trapped in the shadow of the life she once knew, the reincarnated Rhona must find her place among old friends and newfound enemies--and quickly. For the machines are inching closer to exterminating humans for good. And only Rhona, whoever she is now, can save them. I loved the opening and thought the passage where she died was very strong. Stone has a memorable, effective writing style and especially in the earlier scenes, I felt her characterisation of Rhona was effectively layered -- the dilemma of a clone with an impaired memory was movingly depicted. There was a strong supporting cast -- Samuel and Camus both bounced off the page, although I did slightly wince at the love triangle aspect. Not only has it been done to death, it really jarred in the context of the story arc, I felt. Given this was an apocalyptic scenario, the world had to be convincing and Stone's description of a shattered landscape where people are holed up, eking out a minimal existence worked well. What was less successful was the depiction of the machines. While it is mentioned there are a variety of them, there only seemed to be one sort and they appeared to be very easy to disable. I also found it difficult to visualise what they looked like, apart from the red eyes and the whirring noise they made. 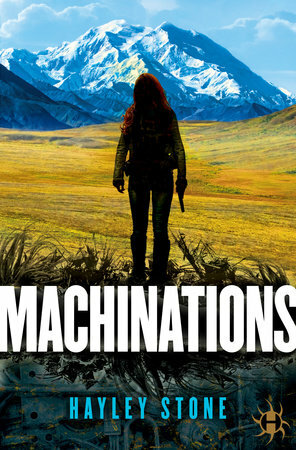 While I didn't expect huge swathes of information about the rise of the machines and the original premise made entire sense, there wasn't a particularly strong sense of how they went about attacking or what the higher echelons consisted of, which I found slightly frustrating. The other problem I had with the story in the latter stages was that Rhona became the poster girl for the human uprising on the strength of one inspirational speech. She didn't quite tip into being a Mary Sue -- the protagonist who can do it all perfectly -- but it came uncomfortably close, which was a shame, given the nuanced, clever characterisation at the beginning of the book when she was coming to terms with being a clone. However, both these issues were more irritations than deal breaking flaws, and they don't take away from the fact that this is an interesting beginning to the series, with a strong protagonist. I look forward to seeing what Stone does with this world in future books.